The new Robens Route Range meets the growing demand for entry-level technical tents that are easy to understand and use. These perfectly address the needs of adventure sections of natural award schemes, youth organisations and for those adventures just stating out who are looking to balance performance with a competitive price tag. 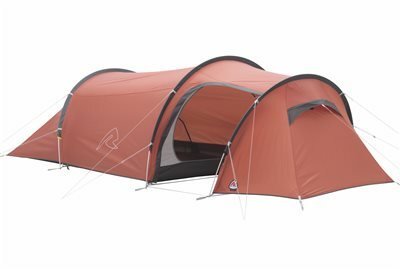 The four tents use our stunning new Magma Orange embossed Hydro Tex Core polyester with aluminium alloy poles. The range has been developed around time proven designs for reliability and comprises; Pioneer 3EX three-person tunnel, Arch 2 twin-hoop ten for two, Boulder 2 dome tent that sleep two; and the Arrow head single hoop tent for solo use.